Call the Midwife continued its successful run by pulling in a huge audience for Sunday nights season 3 finale. Just over 8 million viewers in the UK tuned in beating the numbers ITV's Dancing on Ice got by around 2 million viewers. It will be onto pastures new for star Jessica Raine however as her character Jenny Lee exited in the final episode. Jessica is leaving on good terms though stating “It’s been a real privilege to help bring Jenny Lee’s story alive and amazingly satisfying to see how the public have embraced the series". In a long running story, Jenny left the life of a midwife behind to take up a new position in a Marie Curie Hospice centre where she will work as a nurse. It was an emotional episode as Jenny struggled with the way she had fallen out of love with midwifery while the reaction to the death of Lady Brown hit viewers hard. Jessica will certainly not be at a loose end however as she has suitors lining up around the corner. She will be jumping straight into another hugely successful BBC drama in the near future as she joins up with the Line of Duty team. She also has a role to play in brand new drama Fortitude which screens on Sky Atlantic where she will be joining top actors Michael Gambon and Stanley Tucci. Fortitude will be hitting screens later on this year. Make sure to keep tabs on the fourth season of Call the Midwife. 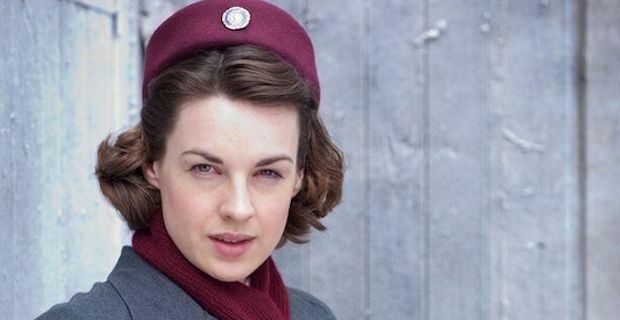 The show will return, minus the lovely Jessica Raine, on BBC 1 next year with a new star taking the reins.